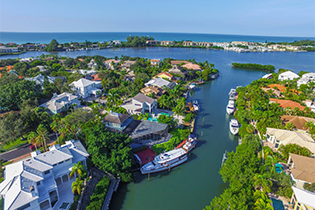 Mention Florida’s Gulf Coast and one immediately conjures images of coastal themed homes, white sandy beaches, and lush, palm-infused tropical landscaping. 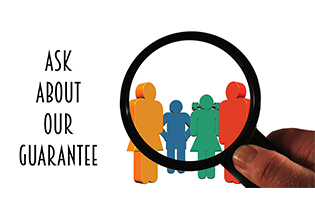 During the past century, many events and market trends have helped shape the place we know today as Manatee County. The famous Florida Land Boom of the 1920s introduced the first “skyscrapers” and transformed “Bradentown” from a small dot on the map to an emerging metropolitan city. In the 1960s, the proliferation of mobile home park communities popularized this area as an affordable designation for retirees from the north who desired an active but casual lifestyle. Beginning in the late 1980s, an influx of golf courses and upscale planned communities helped attract a more lucrative buyer to the area. Ironically, it was an all but forgotten construction boom during the 1950’s that contributed more to shape our local real estate markets than any other event. It was just after World War II and the lessons learned from our nation’s triumphant victory were fresh in the minds of our leaders who carried them forward to civilian life. Our efficiency and ability to mobilize played an important factor to our success during the war. Hence, it’s not surprising that top priority was given to our neglected infrastructure and improving connectivity between portions of our community that were detached and somewhat isolated. 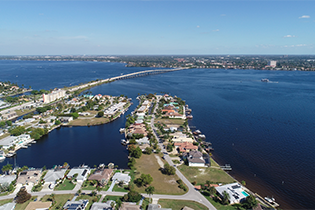 In just one decade six major bridges were built which drastically changed the development and transportation patterns in Manatee County forever. Three of these bridges provided new or improved access to our barrier islands, which greatly boosted this lucrative real estate market. 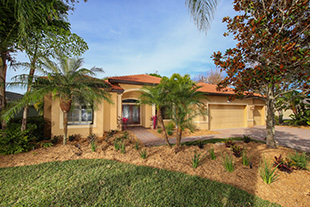 The most significant was the new Manatee Avenue bridge across Palma Sola Bay and Anna Maria Sound. It provided the first direct route from West Bradenton to Holmes Beach and Anna Maria. 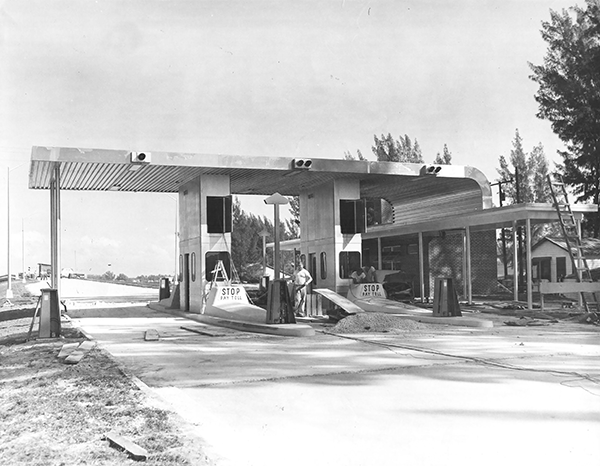 Prior to its completion in 1956, access to these island communities required motorists to travel south through Cortez and then back north through Bradenton Beach. 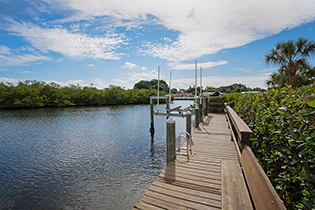 Prior to the Manatee Avenue bridge, an old wooden bridge in Cortez provided the only access to Manatee’s beach communities. Obsolete in both design and capacity, the Cortez Bridge was replaced in 1955 and included toll gates which required motorists to pay 15 cents to cross. 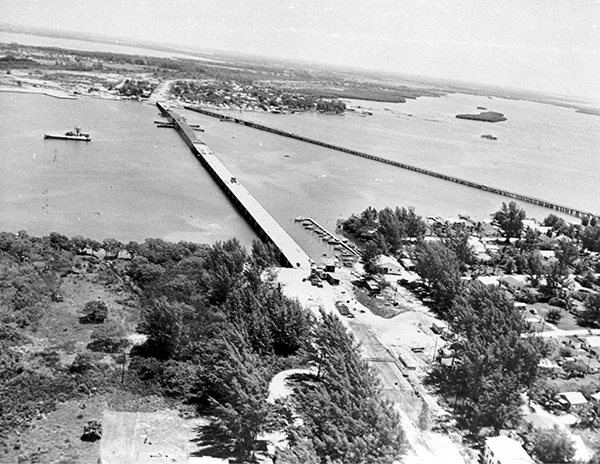 The Longboat Pass Bridge, although the smallest of the three island bridges, was arguably the most important. 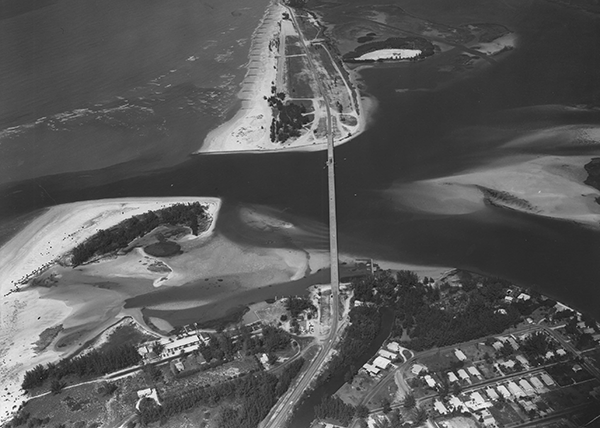 Built between 1955 and 1957, this bridge provided the first physical connection between Longboat Key and Bradenton Beach. 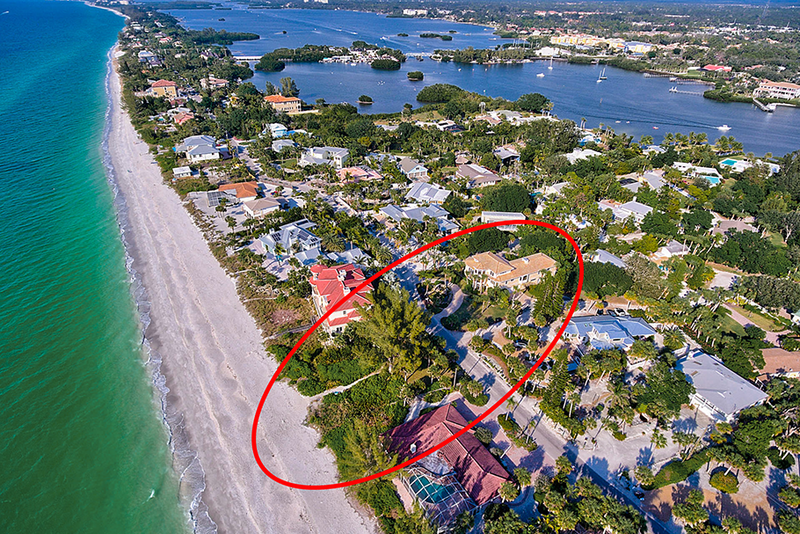 Although the north half of Longboat Key is in Manatee County, its only access to the rest of the county required a long drive south to the John Ringling Bridge in Sarasota and then back up the Tamiami Trail. An added benefit of this bridge was the simultaneous creation of Coquina Beach, one of Manatee County’s most popular destinations. Two new bridges involved river crossings. The old Manatee Avenue bridge across the Braden River was rebuilt and realigned to create a smoother traffic flow. The DeSoto Bridge (next to Manatee Memorial Hospital) provided an alternative route for motorists to cross the Manatee River without traveling through downtown Bradenton and Palmetto. But the granddaddy of them all was the new Sunshine Skyway Bridge which opened in 1954 and provided the first direct road access between Manatee and Pinellas Counties. Built at a then staggering cost of $22 million, this bridge had a regional impact on the entire Gulf Coast. Prior to this bridge, motorists had two choices: Travel to Tampa and then circle back around to St Petersburg; or take the Bee Line Ferry, which ran from Piney Point (at the northern tip of Manatee County, next to the present-day Port Manatee) to Pinellas Point. The ferry, while useful because it saved motorists 49 miles, was problematic as it often required long wait times and only ran from 7:30 a.m. to 7:30 p.m. The Skyway Bridge was quite advanced for its time. William E. Dean, FDOT’s chief bridge engineer from 1948 to 1962, gained national prominence for advocating the use of a new innovative building material, prestressed concrete, in bridge construction. Prestressed concrete allowed bridges to be built at higher elevations and span upwards of 500 feet. 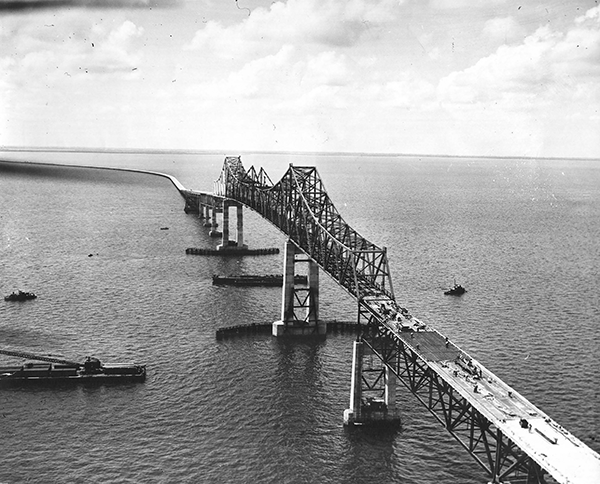 Stretching approximately fifteen miles, the approach included long, filled-in causeways at each end that led to a cantilevered steel truss that rose 155 feet above the bay and provided wide clearance for shipping into busy Tampa Bay ports. Sixty some years later, it’s hard to imagine what Manatee County would be like without just one of these important bridges. What’s most remarkable is that all these major bridges were built in a time span of less than 10 years and at a time when Manatee County had a population of fewer than 70,000 residents. An extraordinary accomplishment indeed! 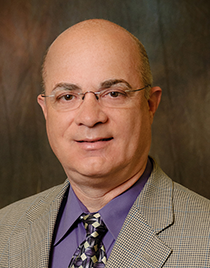 Norm Luppino is a licensed real estate professional for SaraBay Real Estate and was awarded the coveted Sarasota Magazine Five-Star Real Estate Agent the past four years. 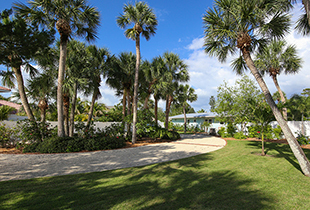 A resident of Sarasota since 1986, Norm has a Bachelor of Science degree in Architecture from Lawrence Technological University and a Masters degree in Urban Planning from Michigan State University. Norm was a Manatee County Planner for 23 years and has served in a leadership capacity for numerous County and Civic Advisory Boards.